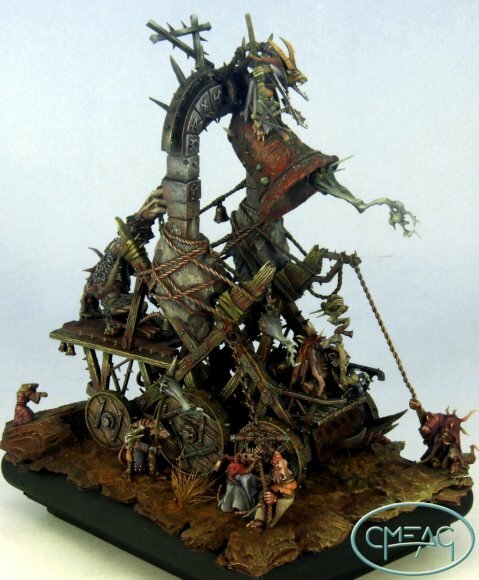 Mi name is Roi, and I´m an spanish painter and miniature collector. I was selling some of my Mithril painted Collection on Ebay when Christoph (AKA Turambar in this forum) saw it and encouraged me to post the pictures in this forum (I didn´t knew it). I´m now re-painting my old miniatures (most of them have 15 years or so…) so I will keep on posting there my future jobs. Welcome Master Elroi, please join us in the Prancing pony for a free welcome drink also. Thanks to Master Turambar for his initiaive. Just continue and provide as many pictures as you can ! Some most excellent minis there, Elroi! And good photography as well. Oils? Welcome! Yes we do like it a lot! Fantastic that you made this possible!!!! And I hope you stay with us here at MMP, it is worth doing it! Dear Roi... this is one of the greatest mithril painting jobs ever.... Also the pictures are taken form the highest professional level.... magnificent ! The background is simply excellent ! And as the others said, please continue to put new images here so that can become a great inspiration to us. Cheers ! So you introduced yourself by giving away pics of your painting-skills. Thank you for doing that. Watching the pics closely, I feel glad to have you here. Perfect paint-job, that is. Just look around here at this site. There'll be much that might interest you, I think. I know your work from the Spanish Team forum (I'm Spanish too). While these miniatures are certainly beyond my skill, I guess they're early works since they don't match your current level. If I may ask, could you post your last Mithril miniature to amaze us? P.S. I'm picky and I can't help it, so please excuse me if I take the liberty to make a little remark about colours. Middle-earth Orcs are not green, they're swarthy or dark-skinned if they're uruks. The Greenskins come from the EE (Evil Empire, a.k.a. games Workshop) and have nothing to do with Tolkien's works. Now I must weep bitter tears of failure! Thanks a lot to all for this welcome and for the kind comments of the minis! I started in the miniatures hobby many years ago, with old GW blood bowl miniatures and some of the mithril range. I painted them with a poor skill, but anyway I liked a lot the style and atmosphere of the Tubb´s work (I think that his works 15-20 years ago was awesome). After, I became a GW fan (still I am... Evil Empire ), but I keep all that miniatures, and ocasionally I buy some more (after all, I´m a Tolkien fan too). And now, I´m repainting some of them, to give them a better look, to sell by Ebay. 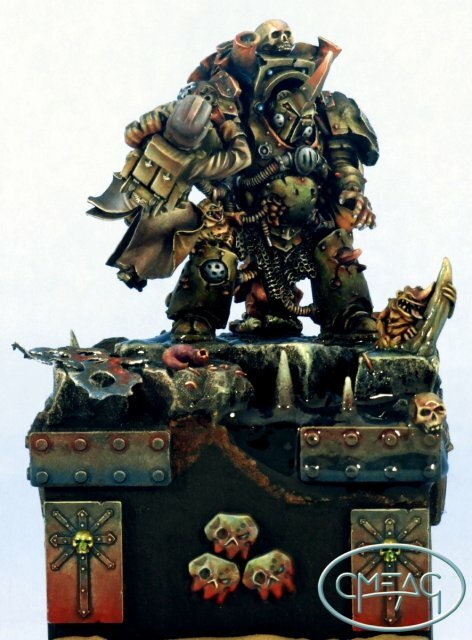 But now, after reading some of your posts here and thinking that the miniatures are relatively easy and quick to paint, I´m reconsidering to keep some of them on my collection, and maybe increase it with some news. - Theobald, Thingol and rest: I´ll try to post here frecuently, but unfortunately, I have not much time to use in internet forums, and most of it I must give to the spanish-team forum, wich I administrate. Anyway, I think I will became part of this community. 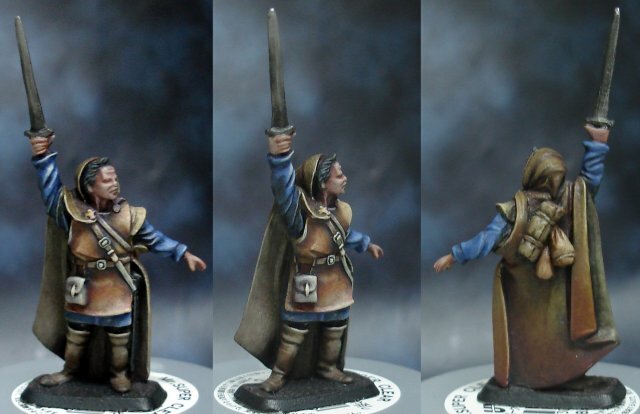 Looking forward to see some new paintjobs on Mithril miniatures, Master Elroi. "some of the mithril range. I painted them with a poor skill, but anyway "
Sorry Master Elroi, I didn't even welcome you! Well, I guess I was totally speechless from your painting! No, no, these are repainted miniatures, hsf62. My firsts painting attempts were very diferent, really poor. But I have improved since then. Well, Master elroi, I am about to repaint my miniatures as well. For three years now! And there is no end in sight, because my project (of repainting them) is boycotted pemanently by new marvellous releases . . . But not in order to sell them. I want to show them, at last. But: there is no one you would like to see them . . . Welcome Elroi! I thought I recognized your username from Spanish Team forum. (I started reading ST after meeting JMPN and dieguete, but I don't post often.) Some lovely painting there. I hope you find lots of time to paint. And I have to sincere thank you the message on ebay that made me reconsidere the selling of my mithril miniatures. Not only I will not sell any more (fortunately, no one buyed the three on ebay and I will keep them) but I´m now again absolutely hooked on their painting. As soon as I finish to paint my actual collection (maybe 6 months to 60-70 miniatures), I will start buying again to increase mi little world of middle-earth. So you know Diego and Jose: they are truly masters painters! Beautiful works of art Master Elroi, and a belated welcome to the MMP world . Like other members I too look forward to more painted Mithrils appearing. Hope you like it, more of them are on their way! I like all of them! Very Nice! well I'm back from my holidays (after having been sick but that's another story..) and well I am a bit late to welcome you Elroi, and also to congratulate you for your very very talented painting!! On a side note, please, in order to keep the forum quite readable could you use the "upload image" functionnality of this forum rather than posting raw images? the upload image functionnality has the benefit to generate smaller thumbnails to fit the corpse of a post, and still gives the possibility to zoom in the picture by clicking the thumbnail. thanks a lot and once again , quite impressive job!